VATICAN CITY (CNS) — Christians can fall prey to the enchantments of ideology that adhere to rigid requirements yet ignore and sadden the Holy Spirit, Pope Francis said. While following doctrine is important, those who focus solely on its strict observance can “reduce the Spirit and the Son to a law,” the pope said Oct. 6 during an early morning Mass in the chapel of the Domus Sanctae Marthae. “It is true that there are the commandments and we should follow the commandments; but always from the grace of this great gift given to us by the Father, the Son; it is the gift of the Holy Spirit and thus, one can understand the law. But do not reduce the Spirit and the Son to a law,” he said. The pope reflected on Saint Paul’s letter to the Galatians in which he reproaches the Christian community for pinning their salvation on obeying the law rather than following Christ. “I want to learn only this from you: did you receive the Spirit from works of the law, or from faith in what you heard? Are you so stupid?” Saint Paul asks. Saint Paul’s strong denouncement of the community, the pope said, can reveal three possible ways Christians can behave toward the action of the Holy Spirit in their lives. 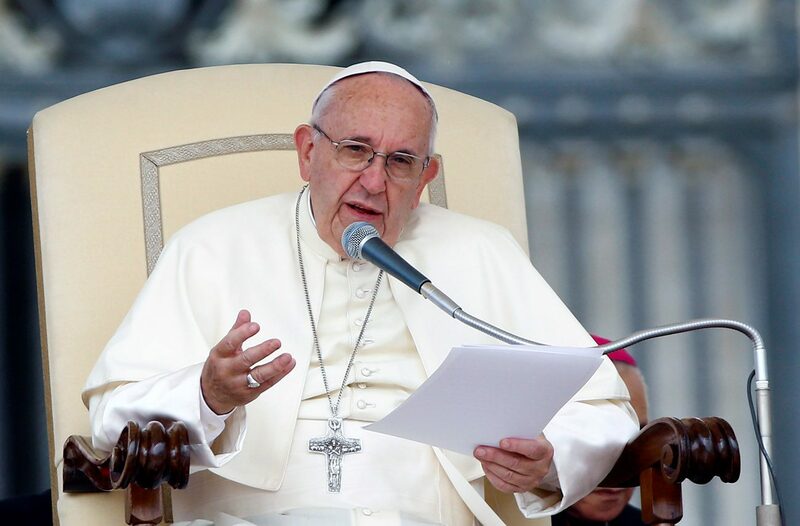 In strongly denouncing the community, the pope said St. Paul reveals their belief of “being justified by the law and not by Jesus,” which is the first of three attitudes Christians act toward the action of the Holy Spirit in their lives. However, the third attitude is to be open to the Holy Spirit which helps to understand and receive Jesus’ words, he said. “When a man or a woman is open to the Holy Spirit, it is like a sailboat swept by the wind that goes on and on and never stops,” the pope said. “May the Lord give us this grace to open ourselves to the Holy Spirit so that we do not become foolish, enchanted nor men and women who sadden the Spirit,” he said. His message is too vague and sounds like “double talk”. Pope needs to be specific. With this message from Pope Francis in mind, why are the Legion of Christ order of priests and Regnum Christi lay group still permitted to secretly evangelize in our archdiocese, especially with young people? I am aware that they are under “reform” but they do still operate within a culture of secrecy and adhere to rigid obedience to their own methods and rules. I would appreciate a response, thank you!